Do you need flexibility in movement whilst scanning, or scanned codes to be instantly transmitted to your system whilst working remotely from it ? 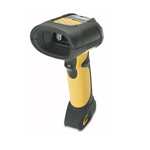 Cordless barcode readers are in recent years becoming increasingly popular, and an increasing number of quality scanners are being released as cordless versions. 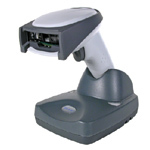 A cordless barcode scanner consists of a scanner, base station/charger and cable to attach between base station and pc., though some base stations have the power to communicate with several scanners. Usually the scanner just returns the scanned barcode, though some have added keypads and displays so that real-time collection routines of other data may be used. 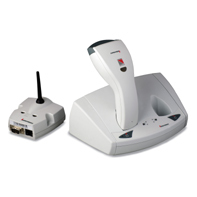 Range, scanner performance and of course price, are the main variants with this type of scanner. 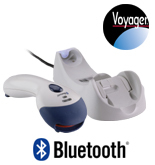 A SELECTION OF OUR CORDLESS BARCODE SCANNERS. Click on a link or picture for more PRICES and more information.